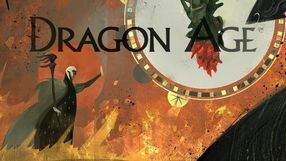 Dragon Age: The Last Court is a text adventure game by Failbetter Games. Production allows us to assume the role of a ruler of a small region and our task is to manage estates and subordinates and lead political games at the court. A miniature wargame, set in the fantasy universe of the popular RPG series by BioWare. The title is based on the free-to-play model with microtransactions and was developed by EA Capital Games. 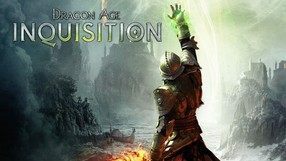 Heroes of Dragon Age allows the players to create their own party that consists of the characters known from all the major installments of the Dragon Age series. In the title, they are represented as digital figurines that are sent to battles against enemy forces just like in a classic tabletop game. The pool of available heroes can be expanded by buying in-game packs. What’s more, characters gain experience with each battle and thus advance to higher levels. Clashes are loosely connected by a campaign in which the player moves between locations and faces various challenges. Apart from a single player mode, the title also offers a multiplayer for two players in various game modes. Heroes of Dragon Age features spectacular three-dimensional graphics. 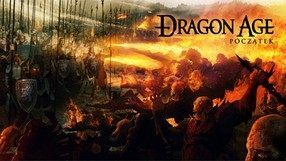 Action/cRPG game set in the world known from games from the Dragon Age series, realized in the convention of social production on Facebook. The game offers two-dimensional graphics and a turn-based combat system that places a strong emphasis on the tactical aspects of battles. The whole system uses a free model with micropayments. A third-person perspective RPG sequel to the greatly received game from 2009. It’s another installment of the series that is considered as a spiritual successor to Baldur’s Gate. It was developed by the creators of the legendary series – BioWare studios. The story takes place in the well-known dark fantasy world and it concentrates on a completely new character – a refugee named Hawke who becomes a legend and a hero of Kirkwall. What’s interesting, the plot is presented as a set of stories told by various bards. In difference to the first game, in Dragon Age II the player can become only a human character. The lack of choice is compensated by a much more advanced character development system. Combat system was improved as well, and the dialogue system was changed. The graphics of the game are not only much better than in the predecessor, but they also have a different, more comic book-like style. A classic cRPG developed by the famous Canadian studio BioWare – the creators of such iconic RPGs as Baldur’s Gate, Neverwinter Nights, and Mass Effect. The game is set in a typical fantasy universe inhabited by several non-human races. Long ago, in response to a demonic Blight, the elite brotherhood of Grey Wardens is created to fight the spreading evil. Now, as the Blight returns under the reins of an arch-demon, you have to gather an army and personally take command of up to 4 characters to stop it once again. 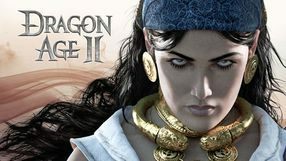 Gameplay is built around real-time combat with active pause and story quests, featuring many dialogues, interesting characters, and moral choices, whose consequences become evident later in the game. While playing, you can choose between the classic isometric view – typical of earlier BioWare games – and modern third person perspective. A kind of "prelude" to Dragon Age: The beginning realized in the form of a free browser game. Together with our companions we walk through the dark corridors of the Deep Paths, fighting against the dark manure.